The jury decided Biffle did “intrude offensively upon the privacy” of his ex-wife Nicole Biffle. In July 2017, Nicole Lunders, formerly known as Nicole Biffle opened a lawsuit against Greg Biffle. She accused the former NASCAR driver of placing hidden cameras in the home that they shared. Ricky Mattew Reavis, a Roush Fenway racing employee at the time was the man that installed the camera system. Initially, he was listed as a defendant. However, a judge ruled that he be removed. Reavis did take the stand and state that placement of certain cameras made him ‘uncomfortable’. The cameras were installed in Biffle’s Lake Norman home. Biffle claimed the cameras were installed solely for the purpose of security. At the time, he believed the maids were stealing from him. Some of those home security cameras were placed in the bedrooms and bathrooms. Some of the bedroom cameras were placed in the guest bedroom where the mother of Nicole Lunders stayed. Greg Biffle stated that Nicole has been in the room that displayed the video footage from the cameras. Those claims were to point out that Nicole was aware of where all the cameras were. However, Biffle’s former wife and mother in law also made claims that the camera footage was shown to other people. The initial lawsuit in 2017 asked from a minimum of $25,000 due to ’emotional distress’. On the most recent trip to the courts, the plaintiff was seeking $9 million. In court documents, it was stated that Biffle actually put in the cameras to catch Nicole Lunders in an affair. On the stand, Nicole admitted to having an affair but made claims that Greg did as well. Those claims were denied by Greg Biffle. 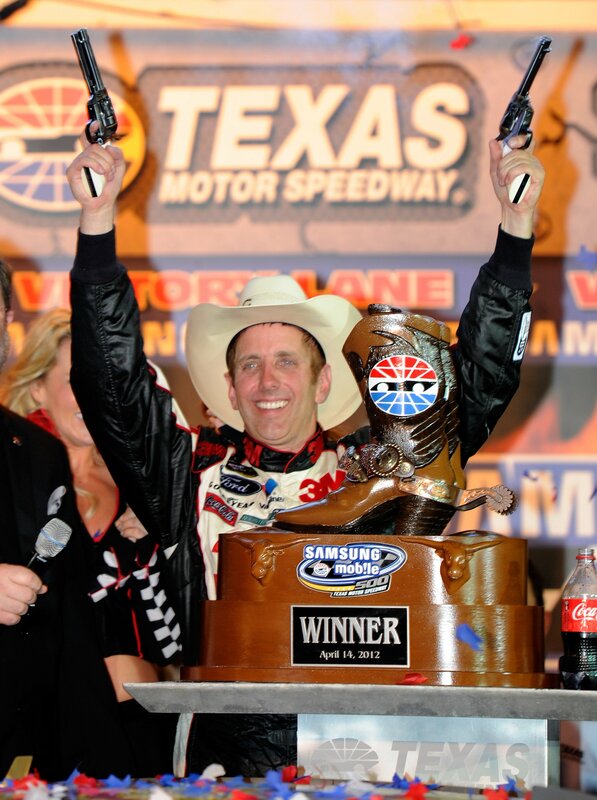 In fact, Greg Biffle had a lawsuit of his own. He sued the man that his ex-wife had an affair with claiming ‘alienation of affection’. In regards to the claims of the video tapes. “I didn’t do anything inappropriate,” Biffle responded from the stand last week. Following a twelve day trial the jury decided that former NASCAR driver Greg Biffle did “intrude offensively upon the privacy” on Nicole Lunders. Lunders also claimed that the cameras caused ’emotional distress’. The jury reached a ‘no’ conclusion on that claim. Each side made statements that appear to claim a win in the case as they exited the courthouse on Monday. However, Lunders has been awarded only $1, instead of the $9 million she was reaching for. “What the jury said sends a loud message that they don’t believe there was wrong doing,” Biffle stated at the courthouse. Next Monday, they will return to court for a hearing to consider punitive damages. Greg Biffle ran his last NASCAR race at Homestead-Miami Speedway in 2016. Currently, he’s a TV analyst for NBC Sports covering the sports of NASCAR via ‘NASCAR America’.